Sahar Habib Ghazi started her journalism career in 2005 when she joined Geo News, Pakistan’s first independent news channel. Her experiences grew as she worked as a reporter, editor and producer in different media. Sahar was an international Knight Fellow at Stanford University during 2010-11 where she developed the concept of bridging the divide between Pakistanis – journalists and online communities (bloggers, activists and tweeters) and with the help of some Pakistani netizens she founded Hosh Media. The contributors – bloggers, students and activists – can log onto hoshmedia.org and send in their videos, images and thoughts. The Hosh team packages these crowd-sourced contributions into news stories for mainstream media networks in Pakistan and the best contributors can also earn some money in the process. ‘Hosh’ is an Urdu word that loosely translated means ‘to awaken,’ and that is precisely what it hopes to do. 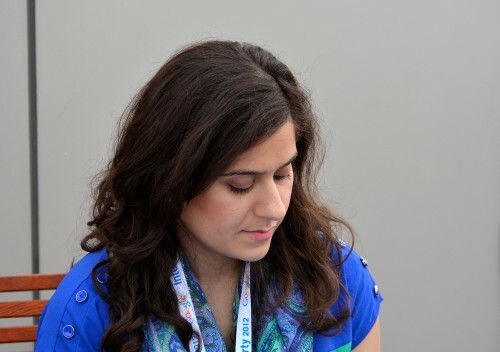 By connecting the blogosphere and traditional reporting in Pakistan, founder and Pakistani journalist, Sahar Habib Ghazi, wanted to create a fresh way to engage the public while infusing news with youthful perspectives and voices. I have recently talked with Sahar Habib Ghazi about Hosh. SHG: Ten years ago a change in government policy took Pakistan from one all-powerful state broadcaster PTV to 24 independent news channels. There are numerous news outlets, but the existing media landscape leaves a lot to be desired. Frequent bombings and suicide attacks have pushed inexperienced TV reporters and producers into a dizzying environment of breaking news. Most reporters are sloppy with attribution. Unsubstantiated reports blare in breaking news banners on TV. On top of that, news is vulnerable to agenda-campaigns from sectarian and militant groups, as well as the intelligence agencies that heavily monitor and manipulate the flow of information. On top of that, two-thirds of the population is under 30, but the youth voice, simply gets lost in the fog of war and chase for breaking news. But in this problematic situation, Hosh only sees an opportunity for change. Internet penetration in Pakistan is only 10%, but our facebook users have grown from 2 million to 6 million in a year. Hosh taps into this growing group. Sahar Habib Ghazi. Image by author. SHG: At Hosh media, through online and offline mentoring we create Hoshyaar contributors that are well versed in journalism basics, ethical practices and practical applications. At Hosh, news and tips come from Pakistan’s young online crowd, a mix of bloggers, aspiring journalists and amateur photographers. Our team of volunteer editors and producers sift through contributions on our website, and eventually mentor and work with individual Hoshyaar contributors to make their stories publishable and broadcast-worthy, so their voices have more impact beyond the Internet. RV: How many citizen journalists have you developed? SHG: Since our launch in May 2011 we have mentored 30 young individuals, and published dozens of stories, including video reports, photo galleries, and written posts reflecting Pakistan’s diversity and stories of hope and tolerance. RV: Could you please highlight one success story? SHG: Bushra Shehzad is one of our young Hoshyaar contributors. A year ago, Bushra uploaded some of her amateur photography of a Sufi shrine on www.hoshmedia.org, which was published with the help of our editors on a mainstream news outlet. Our mentors saw that she had tremendous story-telling ability, and started mentoring her on featuring writing. Her feature pieces are now regularly published through Hosh. Her latest story documents Pakistan’s lost Sikh history. RV: What is your future goal? SHG: Our larger goal is to make media more representative of the majority, our youth, so their narratives, aspirations and voices can rewrite Pakistan's story. The Hosh Media site also features online journalism tutorials videos for the budding citizen journalists. Please follow the project on Twitter, Facebook and Youtube.